The Nigerian Electricity Regulatory Commission (NERC) yesterday disclosed that in every 10 users of grid generated electricity supplied by the 11 electricity distribution companies (Discos) in Nigeria, nearly six of them, representing 57 per cent, have remained unmetered, indicating that estimated billings by the Discos are still prevalent. NERC also indicated it was about to introduce a regulation to cap monthly estimated bills issued to consumers by the Discos. The regulatory body equally noted that under the proposed regulation, consumers who reject meters installed at their premises by Discos would be cut off from electricity supplies. 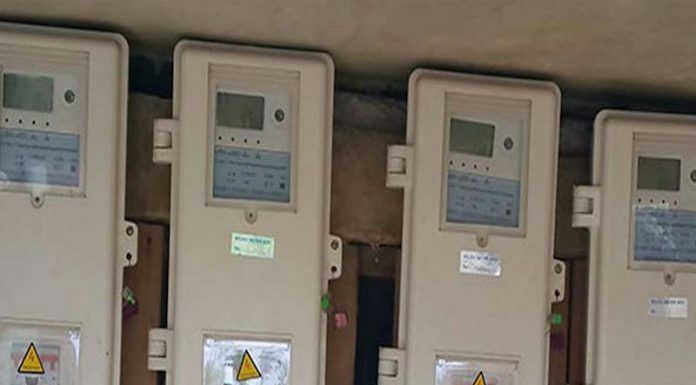 In the consultation paper on capping of estimated bills, which NERC posted on its website, the commission said the 11 Discos with a customer base of 8,292,840, have been able to provide meters for only 3,591,168, while 4,701,672 have not been metered as at August 2018. NERC explained that the percentage of unmetered customers was 57, adding that the practice of estimated billing by the Discos have resulted in payment apathy. It said to cap estimated billing by Discos, it was considering options such as a cap on estimated billing based on the projected average monthly consumption of each tariff class in the Multi Year Tariff Order (MYTO) model; application of the average consumption of each tariff class within a franchise area as the cap for estimated billing of unmetered customers; and capping the estimated bill of consumers within a business unit to the average vending of the same tariff class within the area. NERC said, â€œThe performance agreement executed between the Bureau of Public Enterprises (BPE) and the core investors in the 11 Discos provide for the installation of end-use meters based on agreed targets. However, the actual performance as at August 2018 indicates that about every six in 10 customers are unmetered and therefore, subjected to estimated billing. â€œThe practice of estimated billing in the Nigerian Electricity Supply Industry (NESI) has continued to constitute a major source of complaints by customers in all the Discos. NERC noted that the recent effort of the National Assembly to legislate against the practice of estimated billing reflected the public concerns about inadequate meters for electricity customers and flagrant abuse of the estimated billing process for both post-paid metered and unmetered customers. It added, â€œIn pursuit of eliminating the practice of estimated billing for unmetered customers in the NESI, the commission approved the Meter Asset Provider Regulation (MAP) with the main objective of fast tracking the roll out of end-use meters for all consumers thus ensuring that customers pay for only what they consume.